Make sure your clients are happy with ConstructionOnline's automated, easy-to-use Client Selections feature. 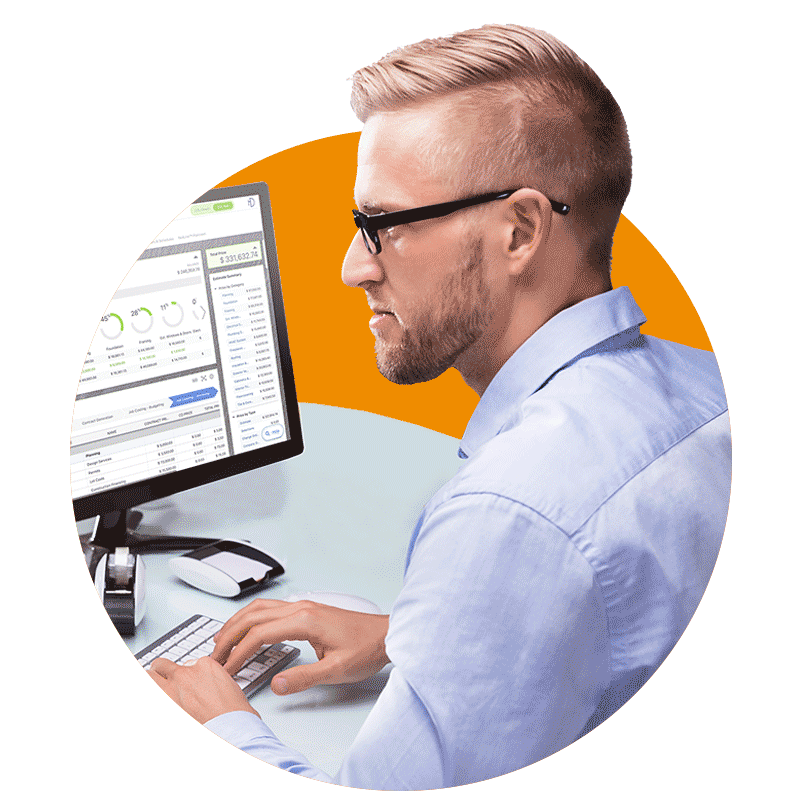 Automate Client Selections to improve communication and finish projects faster. With Client Selections in ConstructionOnline™ you can quickly create option sets and provide your clients with a simple web interface to make their desired selections. View, edit and approve selections that will satisfy your clients and improve team communication. Everyone likes choices, especially when building a new home or project. 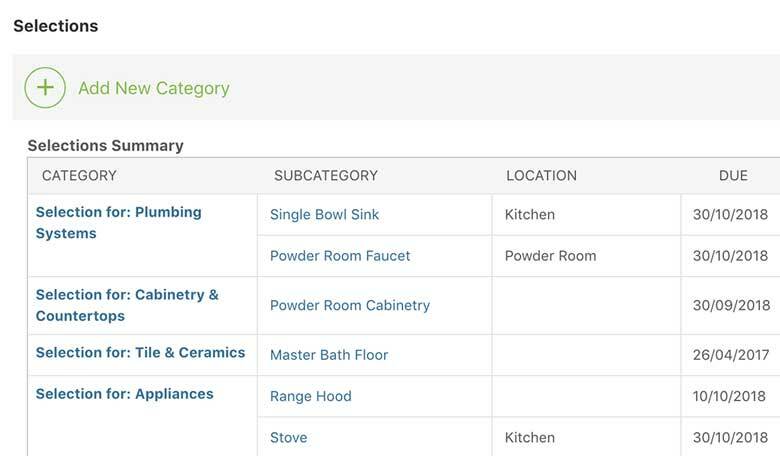 Client Selections in ConstructionOnline™ offers you the ability to build a comprehensive set of categories, subcategories and options that clients can select from. Now we've made it even easier to add selections to your projects with the selection QuickPick add-on. 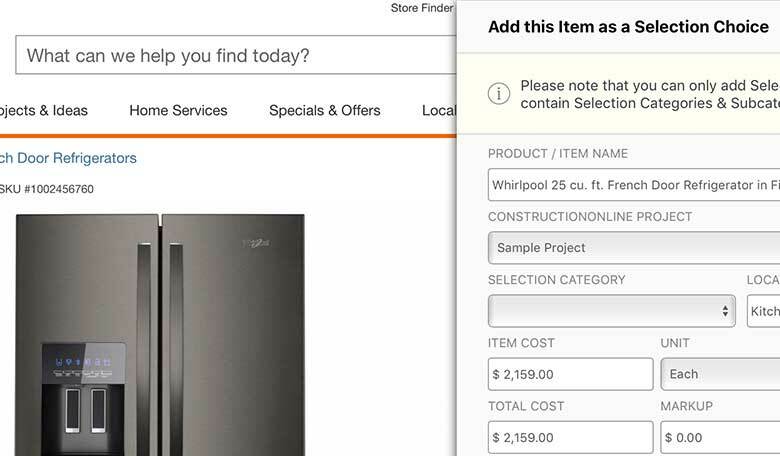 With the QuickPick add-on, you can easily add selection details directly from vendor websites, such as: images, descriptions, price, quantities and more. Communication is key. Nowhere is that more true than in construction projects. 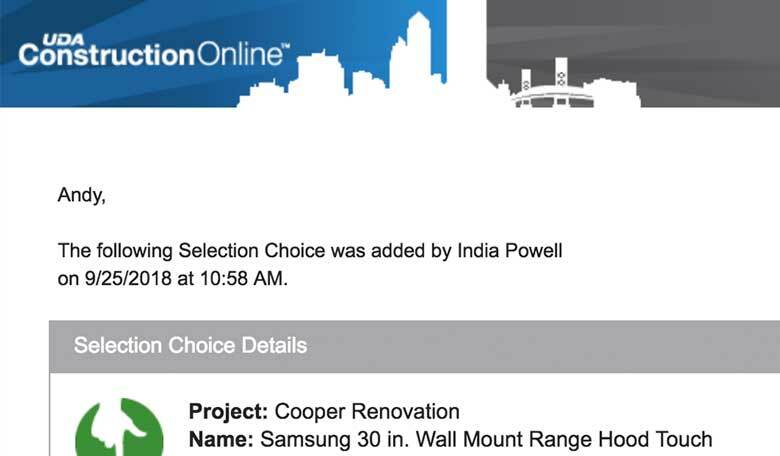 Client Selections in ConstructionOnline™ features powerful, automated reminder emails sent to clients as the due date for a set of options approaches maturity. Why is this important? Simply put, any delays you can eliminate, especially catastrophic delays for key or special-order materials is just another landmine you can easily avoid by letting technology work for you. That's ConstructionOnline™, technology at work - making clients happier 24 hours a day. 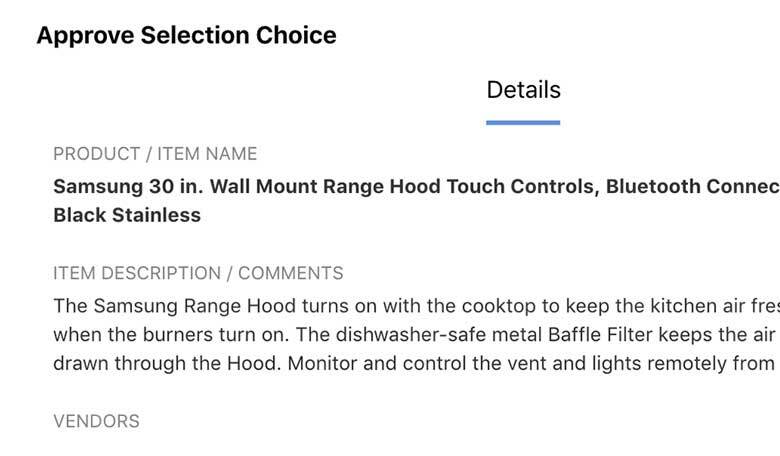 Now if we could only get it to handle Change Orders, oh right, it does that too. We all want to know where we stand, especially when money is involved. With Client Selections in ConstructionOnline™, your clients can quickly review a summary of all of their option selections and any overages or credits based on the exact set of options they have selected to date. For those of you that have not been down the "Oh, I had no idea we were that far over budget" path, Summary Views of Client Selections are another key element in clear client communications that make a real difference in successful projects. Teamwork is key, and any time you can get everyone on the same page, good things happen. When a client makes a decision, everyone that you have designated is immediately notified, including suppliers, subcontractors, and more. 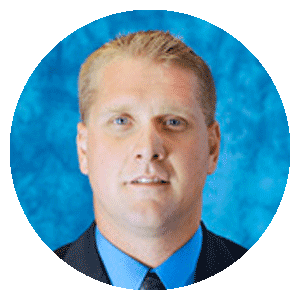 That means that your suppliers or project manager can know instantly when a client selects a special floor tile or unique plumbing fixture that needs to be reserved or ordered quickly. More benefits, more teamwork. That's the reason over 500,000 construction professionals use ConstructionOnline™ to manage their projects and build a better business. ConstructionOnline™ makes your company look like you are the next step ahead of the game when your clients can look at the schedule or make selections online.